LAS VEGAS. — Mexico’s Saul “Canelo” Alvarez ended Gennady Golovkin’s unbeaten reign as unified world middleweight boxing champion on Saturday night, battling to victory by majority decision in a pulsating rematch. Alvarez inflicted the first defeat of Kazakh slugger Golovkin’s career after two judges scored it 115-113 in his favour, with another judge scoring it even at 114-114. 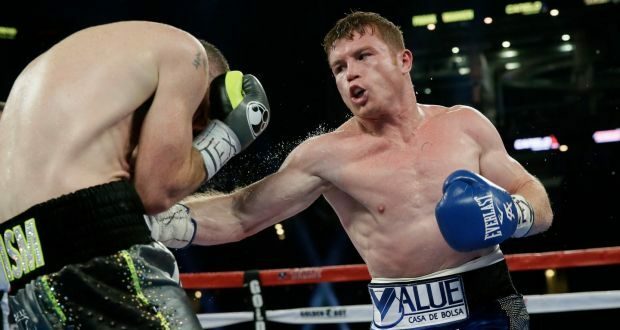 “I am a great fighter, and I showed it tonight,” said Alvarez.